Today the Premier League is a juggernaut, a money-printing soccer machine rapidly overtaking new lands through the magic of high-definition television. It wasn't always so. By the late 1980s, England's top flight was in shambles: Decrepit stadiums, rampant hooliganism, and a ban on English clubs from international competition (following a lethal clash involving fans of Liverpool F.C.) had made the birthplace of football irrelevant in the sport's burgeoning global theater. So what happened? It all started with coup of sorts, a power play by the most influential teams that wrested away control from England's Football Association, opening the door to oligarchs, sheikhs, modern plumbing, and a flood of exorbitantly compensated talent—not to mention piles of TV cash. 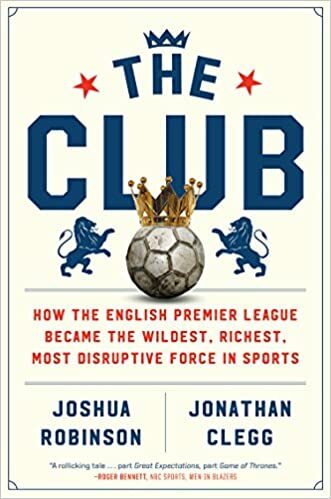 Extensively researched—including 100 interviews with key players, on and off the pitch—Joshua Robinson and Jonathan Clegg's The Club: How the English Premier League Became the Wildest, Richest, Most Disruptive Force in Sports is the definitive account of a sports and entertainment empire. Here Robinson and Clegg present a few of the characters integral to the metamorphosis of the Premier League. 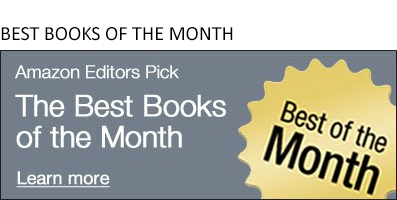 The Club was a December 2018 pick for Amazon's Best Books of the Month in nonfiction. Eric Cantona: One of the first overseas players lured by the new riches on offer in the Premier League, Cantona was like nothing English soccer had ever seen: A six-foot-two, barrel-chested French forward whose signature was a turned-up jersey collar and a propensity to smash the ball into the goal from twenty-five yards. He helped transform Manchester United into the Premier League’s first dynasty and introduce a new era of technical, eye-catching soccer, wowing fans across the country—unless he happened to be kung-fu kicking them in the chest, as he did in the 1994-95 season, earning an eight-month ban. Roman Abramovich: The former chairman of Russian oil giant Sibneft and a close personal friend of Vladimir Putin, Abramovich was unheard of when he arrived in English soccer in 2003 as the first of the Premier League’s super-rich overseas investors. The deal, agreed in one of the suites at the team’s stadium, was completed in less than an hour. Today, English soccer fans know little more about the reclusive owner of Chelsea F.C., who has spent a considerable fortune transforming his team into one of the world’s blue-chip soccer clubs—and a slightly smaller fortune paying off the team’s managers, who he fires, on average, every 14 months. John W. Henry: A financial trader who earned millions on the markets and then earned four World Series rings as owner of the Boston Red Sox, Henry arrived in English soccer six years after Abramovich, attempting a similar turnaround at Liverpool Football Club. But Henry found that the data-driven approach that had brought him success in the U.S. was ill-suited to the maddening, poorly regulated world of English soccer, where hucksters roam free and baffling business decisions are a way of life. “I don’t believe you can find a more challenging enterprise than to try to win in English football,” he says. Bradford F.C. : Long before Henry learned about the perils of the Premier League, Bradford F.C. found out just how cutthroat the top division of English soccer can be. Promoted to the Premier League for the 1999-00 season, the Bantams began to entertain visions of competing with the Premier League’s biggest clubs. But the only thing Bradford could do like Arsenal and Manchester United was spend money. After just two seasons, Bradford ended up rock bottom of the league, an indignity that resulted in relegation, the punishment English soccer visits on the bottom three teams in the standings by booting them to a lower division. Stuck in a mess of high salaries and crushing debt—even the stadium floodlights were mortgaged—Bradford’s Premier League dream ended with the club filing for bankruptcy protection. “I will never, ever forgive myself for spending the money we did,” then chairman Geoffrey Richmond said. Pini Zahavi: Inside the wild world of the Premier League, few characters have pulled as many levers as Zahavi. Former West Ham and Tottenham manager Harry Redknapp described him as “a man who can get things done.” His wife, in a tabloid interview, preferred to call him a “dirty rat.” Though he started his career as a soccer journalist in his native Israel in the 1970s, he had become one the game’s most powerful agents by the late 1990s. Moving players around like pawns on a chessboard, Zahavi broke the record for British transfer fees, seemed to have more say in some clubs’ dealings than the managers in charge of the team and, in 2003, made a connection that changed English soccer forever: he introduced Chelsea to Roman Abramovich. Sheikh Mansour bin Zayed al Nahyan: Nowhere did the Premier League’s growth make a larger impression than inside a gilded palace in Abu Dhabi. That’s where Sheikh Mansour, a scion of the royal family, launched the league’s latest revolution with riches that dwarfed the fortune of any owner in English soccer history. Since 2008, when he bought Manchester City from a former prime minister of Thailand, Mansour has overseen more than $1 billion in spending to turn Manchester’s second most famous team into world-beaters with their very own global empire. They have won three league titles under him and are working on dynasty status. But for all that investment, Mansour only watches his squad from afar: He has attended precisely one game at Manchester City’s Etihad Stadium. Carlos Tevez: An Argentine striker who believes his primary purpose in life is scoring goals and commanding huge salaries, Tevez single-handedly represented the lunacy of the modern Premier League. He first arrived on English shores with lowly West Ham via a piece of financial chicanery so backhanded that the league had to ban the practice forever. He then moved to Manchester United, before upgrading his paycheck once again, jumping to Manchester City for Sheikh Mansour’s millions. Leicester City: The Premier League’s last miracle. A 5,000-to-1 shot with exactly zero league titles in its 152-year history, Leicester City used the league’s lavish revenue sharing—and the fortune of a Thai duty-free magnate—to build a squad just good enough to stun the traditional powers. “Okay now we can do!” Italian manager Claudio Ranieri told his players in broken English when Leicester finally closed in on the 2015-16 championship. “Because never again could it happen.” The league’s superpower clubs would make sure of that. Since Leicester’s title, they have rearmed like never before and changed the league’s 25-year-old revenue sharing formula to keep even bigger slices of an already gigantic pie. Arsène Wenger: A professorial Frenchman with a geography teacher’s demeanor, Wenger arrived at Arsenal in 1996 from the soccer backwater of Japan and proceeded to transform the way English clubs were run, from introducing proper sports nutrition and banning the team’s Tuesday night pub outings, to self-financing a move to a brand new stadium in 2006. But as the money in the game exploded, Wenger’s Arsenal was left behind, clinging to an idea of soccer that put aesthetics above all. He left the club in 2018, a sign that in English soccer, even revolutionaries can become passé.